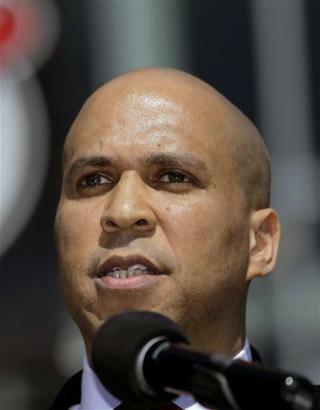 (Newser) – Talk about hands-on mayoring: Newark Mayor Cory Booker was treated for smoke inhalation and minor burns last night after rescuing a woman from a fire. After arriving home to find a neighbor's house on fire, the mayor, followed by two members of his security detail, rushed inside before the fire department arrived. He carried a woman down from the second floor of the burning building before collapsing. A politician acting like a human....kudos!!! He'll be back on the Daily Show and Colbert soon, I'll bet.